All of the traditional Christmas stuff, Santa, and trees, and wreaths, and ornaments, stockings, and presents is fun. But I also like to do things to help my kids understand and remember the reason we celebrate Christmas. 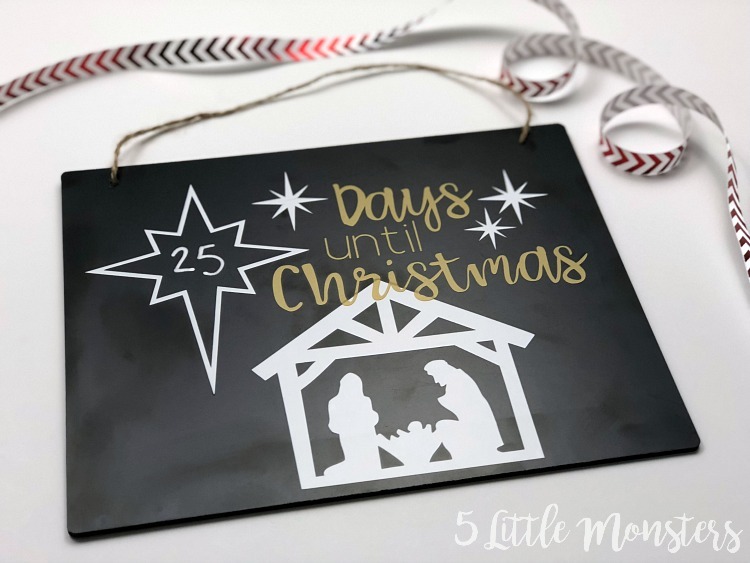 I decided I wanted to make a version that would be a more Christ-centered option for a Christmas Countdown. 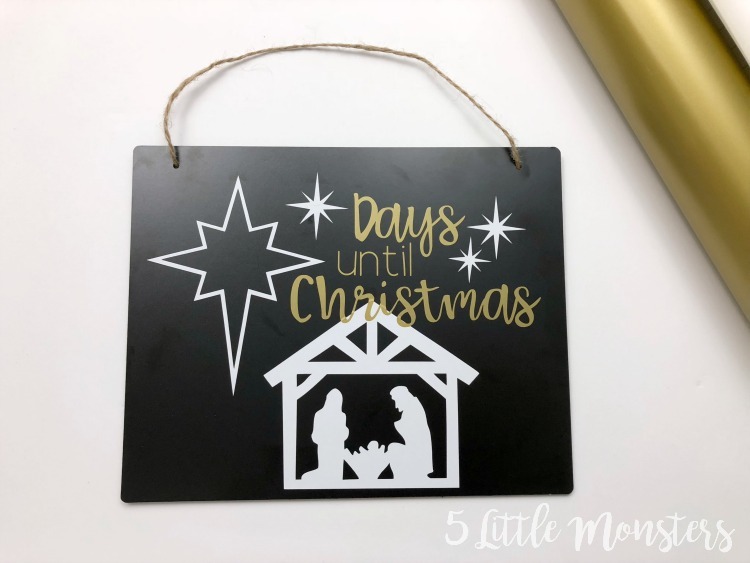 I added a silhouette of a nativity scene with stars above the stable, including one large star where you write the number of days left until Christmas. 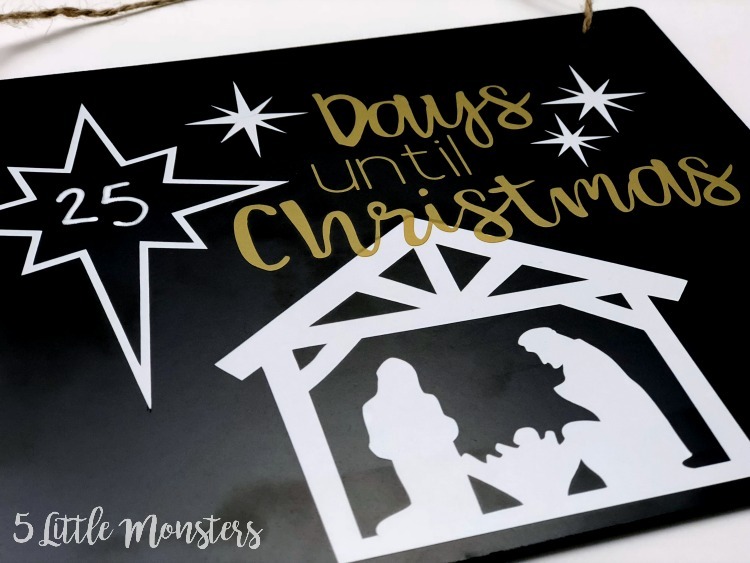 This version is made in the same way that I made the last one, a plain chalkboard with vinyl layered on to create the design. 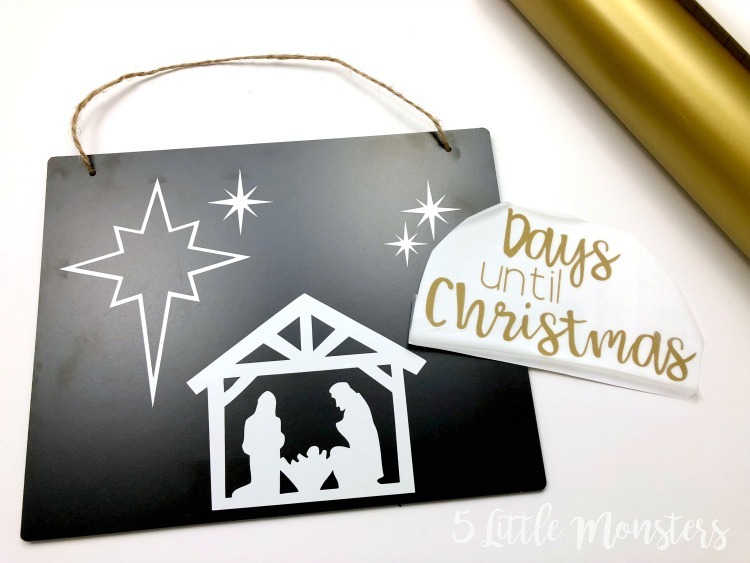 An opening in the large star provides a place to write the number of days left until Christmas. It is a super quick and easy project. Once you have gathered all of the supplies you can make it in a matter of minutes. 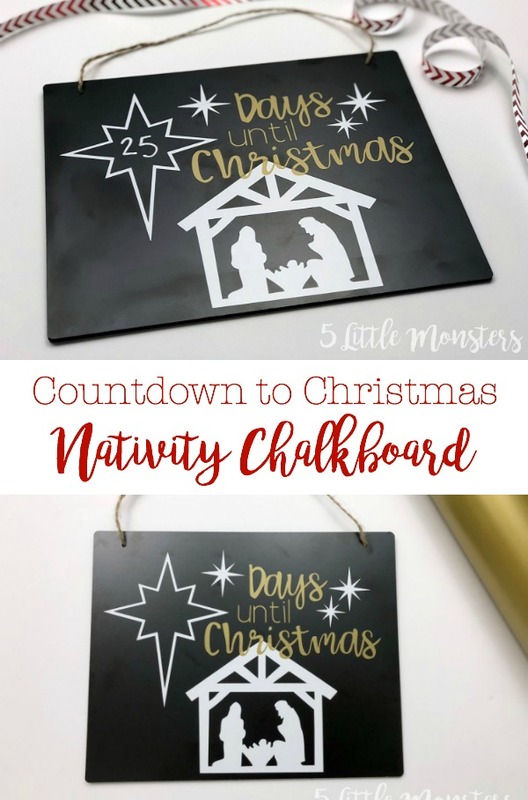 Open the Nativity Countdown Design Space File. 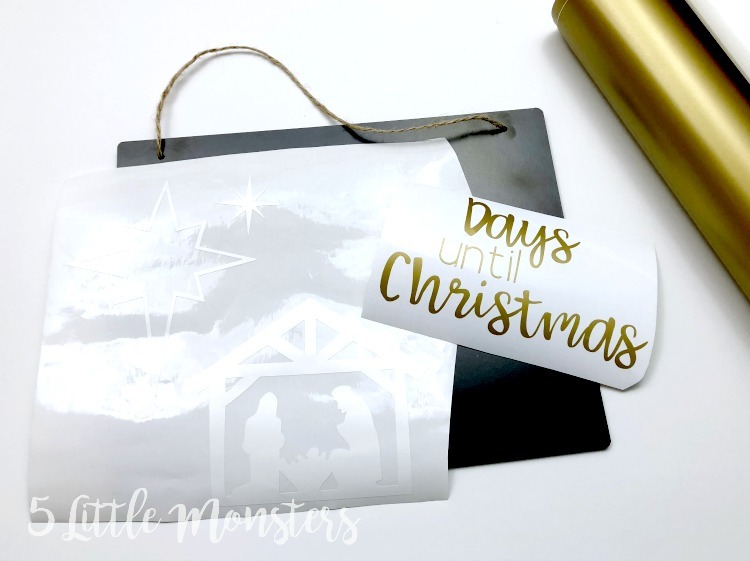 Cut the nativity and stars from white vinyl and the words from gold. Weed your designs. Place transfer tape on the images and remove backing. 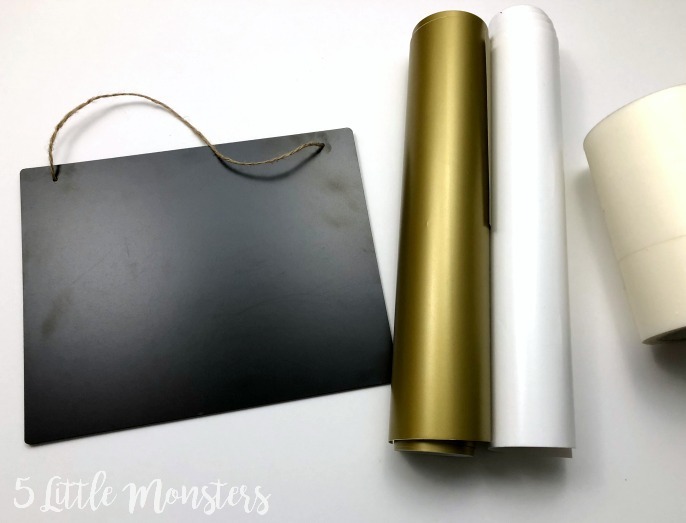 Place the white on the chalkboard first, press in place and remove transfer tape. Place the gold on top of the white, there will be some overlapping on the roof of the stable. press down securely in place and remove transfer tape. 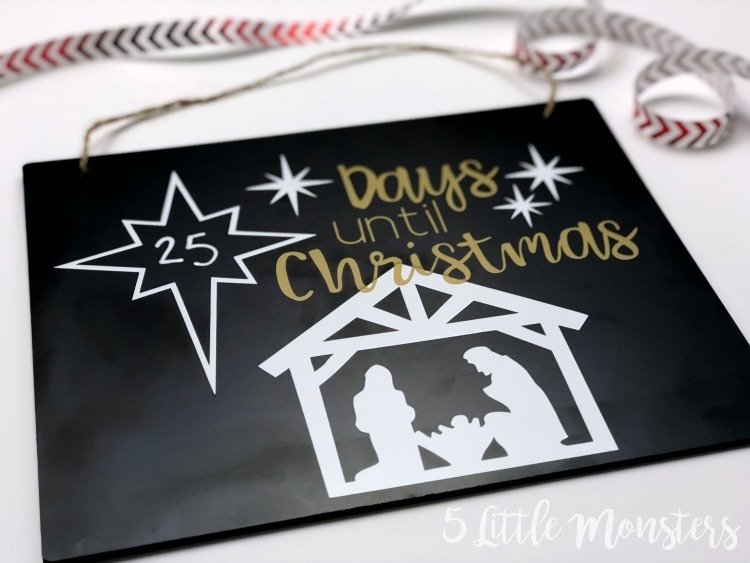 Write the number of days until Christmas inside of the large star. I have found a chalk marker works a lot better than sticks of chalk but either one will do.